In the Nursine area, the preservation of pork meat dates back to the Roman era. Over time, farmers became expert in processing and preserving pork to be sold, salted and matured, even in the surrounding areas. The processing of Prosciutto di Norcia PGI takes place in the territories at altitudes more than 500 meters above sea level. The area includes the municipalities of Norcia, Preci, Cascia, Monteleone Spoleto, and Poggiodomo. 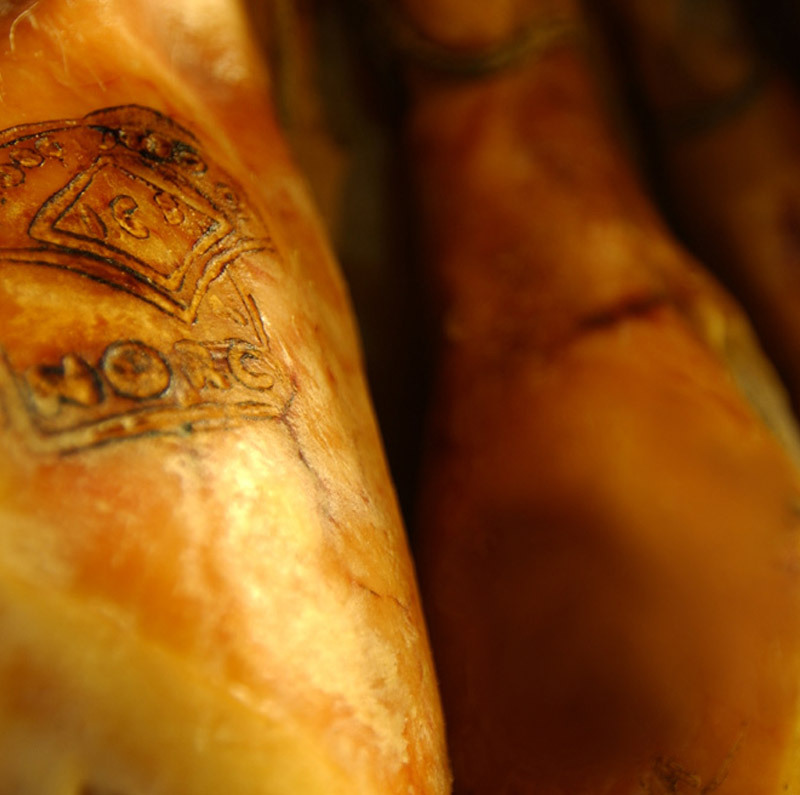 The Prosciutto di Norcia PGI has the traditional triangle shape, also known as “violoncello”. This shape comes from the art of the ham makers who used to cut the ham in a particular way discovering the thigh and leaving a layer of thinner rind, thus favoring the penetration of aromas and the maturation. The processing is very similar to that of other hams: two salting, rest for 2 months and a half, the “sugnatura” and the maturation that, cannot be less than 12 months, as the Regulation says. The Regulation specifies, “sodium chloride and pepper in little quantities are used”. The weight of Prosciutto di Norcia PGI after maturation must not be less than 8.5 kg. The slice has a vivid red color. The taste is rich, full, with a salty taste but not too much. Perfect with bread without salt and with mushrooms in oil. Norcia is one of the most important centers of the production of cold cuts. It’s known the Italian word “norcineria” to indicate the art of deli meats processing. 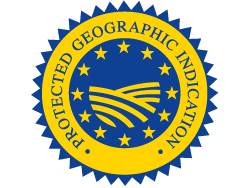 Protected Geographical Indication (PGI) recognized under Reg.ne EU Reg.to CE n. 1065 of 12.06.1997 GUCE L. 156 of 13.06.1997.